IFBB Classic Physique Pro Jake Burton trains upper body the day after the 2017 NPC USA Championships. 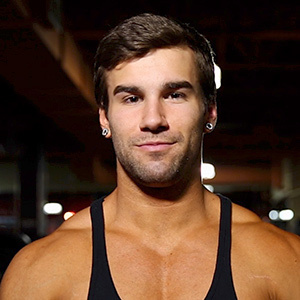 Jake has been an athlete all his life competing in BMX, motocross, swimming and diving. Jake is a personal trainer and continues to compete in physique sports including bodybuilding and classic physique. He’s very strong too bench pressing 455 lbs in his off-season.